When Jim Curry, senior vice president and general manager of private cloud at Rackspace, helped build the OpenStack project three years ago, he didn't expect it to take off as quickly as it did. "We actually hit a couple trends correctly," Curry said. "We launched a cloud project right as cloud was really taking off, and we launched an open source project right as open source was going mainstream." And he only expects the OpenStack frenzy to continue, if not increase. "I would predict that within the next three to five years, the majority of instances or the majority of clouds being built will be built on OpenStack," he said. "The convergence on what's going on with cloud architectures -- and this desire to move toward a more open source stack -- will transform the way people build applications and also will be extremely disruptive in our industry." In addition to OpenStack and the open source movement heating up, things are getting interesting for Rackspace as cloud moves from early adopters to more conventional companies. Cloud's shift into companies with mature technologies means a complete shift in thinking about what cloud means. "We're starting to work on rethinking the architecture of cloud -- beyond just public and private-- to the concept of where and when you should use bare metal," Curry said, noting that certain applications do, in fact, run better on bare metal. Rackspace is also moving toward the idea of specialized clouds that solve unique architectural problems for its customers. Curry has a lot on his plate in the year to come. 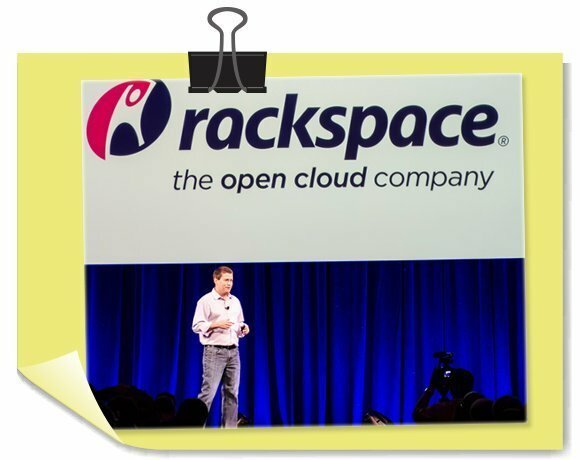 Rackspace is gearing up to release what he calls "Rackspace version 2," which merges the company's legacy technologies with new cloud architectures and technologies (read: bare metal), and he's bracing for an exciting year as OpenStack tries to gain attention over proprietary cloud giant Amazon Web Services, which, as the past shows, will likely be an uphill battle. "I admire [Amazon] greatly for what they've done," Curry said. "But I hope that we as an industry create an offering that's compelling enough to get the world to turn their attention from Amazon to folks that are an alternative."